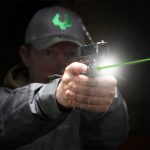 LaserLyte, innovators in firearms laser technologies, are giving shooters the perfect reason to spend more quality time on the couch—Laser Training with the Rumble Tyme Laser Trainer Kit! 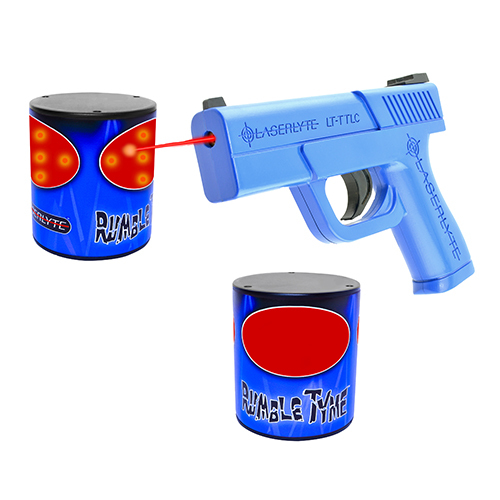 Auto-resetting Rumble Tyme Targets from LaserLyte rumble, rotate and radiate with LED lights to celebrate when shot by the laser beam from the included Trainer Trigger Tyme Laser Compact Pistol. Three target areas wrapping around the Rumble Tyme can are automatically ready for the next shot without manually resetting the target. 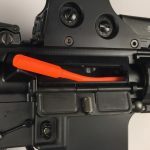 Immediate feedback of shot placement gives shooters of all ages and skills levels a fun and valuable training tool that can be safely used anytime, anywhere. Whether you shoot from the couch or draw from concealment, you’ll spend less time resetting the target and more time Laser Training! 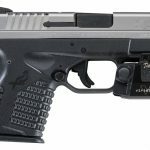 Available now in a complete kit with two Rumble Tyme Targets and a Trigger Tyme Laser Compact Pistol, this package gets sport shooters and professionals on target faster, increasing accuracy and overall hits. Be the first to review “LaserLyte Tyme Kit Rumble, 2 Rumble Tyme and LT-TTLC” Click here to cancel reply.